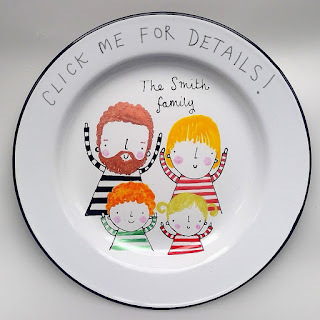 Custom portrait for a couple or family on a plate! A new product is born! The penny finally dropped! Why not offer portraits on enamel plates?